The 2018 All Shortcuts + Olmec Tournament Starts Soon! The 2018 edition of the All Shortcuts + Olmec Tournament is nearly upon us! During the first three weekends in October, members of the Spelunky speedrunning community will face off in a modified double-elimination All Shortcuts + Olmec (AS+O) tournament. All races will take place on Saturday and Sunday, from Noon to 4 PM Eastern Time on the Mossranking Twitch channel. We'll kick off the tournament with the preliminary round on Saturday, October 6, and the Grand Finals will happen on Sunday, October 21. Each of the races will feature live commentary by ix, Kinnijup, Vlad, Beens, chocolatecake5000, and a few others -- too many to list, actually! For the full bracket, swing over to the Challonge website. You can even make predictions about how the tournament will play out. As a reminder, the rules of AS+O are the following: Starting from a blank save file, the runner has to start from the tutorial and unlock all the Tunnel Man shortcuts, then complete the game by defeating Olmec and exiting. 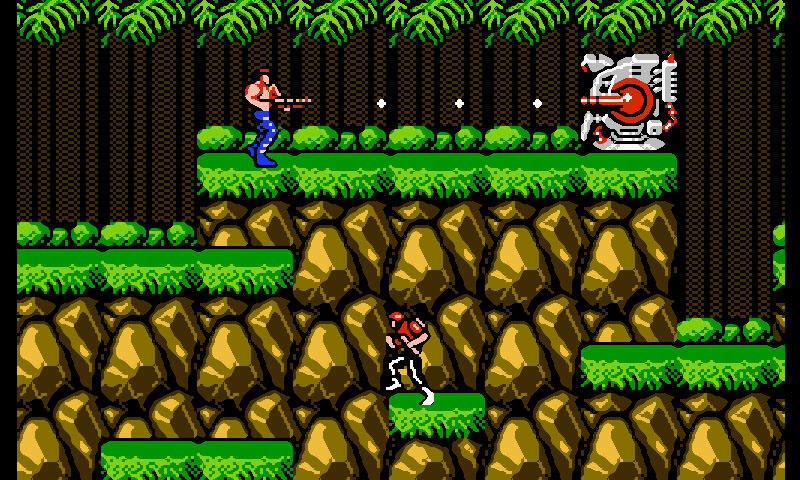 This category follows Real Time Attack (RTA) rules: the timer begins when the runner selects a character and stops when the spelunker reappears in the transition screen after exiting Olmec's lair. This run has been featured at AGDQ 2018 by Kinnijup and AGDQ 2016 by BumCommando & Kinnijup, and will soon appear at GDQx at TwitchCon 2018 (Saturday, October 27 @ around 11 AM Eastern) by meowmixmix! For more information about the tournament rules, please check out the tourney document. Welcome to 21 Questions With. In each entry, the spotlighted individual is asked a variety of quickfire questions about themselves. What's the story behind their username? 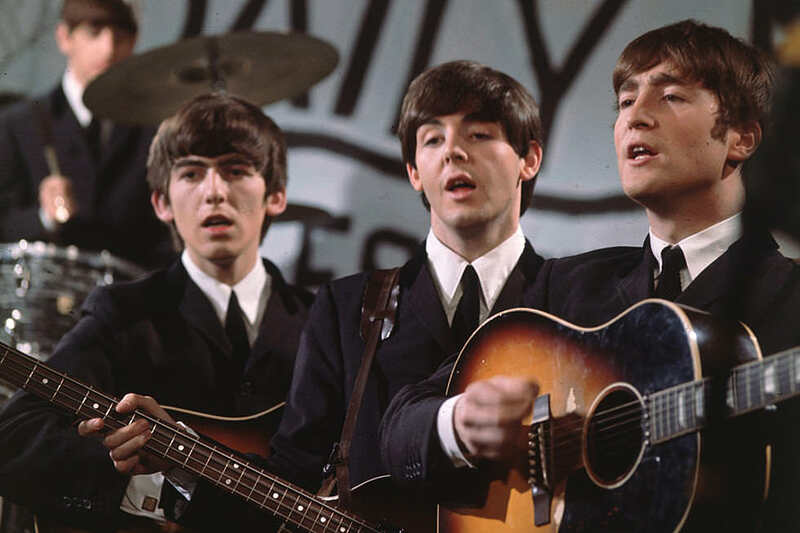 What's their favourite song? What do they really think about the community? These are just some of the potential questions, and hopefully you will get a satisfying insight into that member. What is your first name? Victor. What is your occupation? Math teacher. Describe yourself in one sentence. I like playing games too much for my own good. How did you come up with your username? I had a weird fascination for Russia when I was a kid (probably due to me playing chess), and Russian names sounded really cool to me, so I picked up one. It went through a few iterations with numbers, until I got rid of them entirely. What is your proudest run? I'd say my sub-2 Any% run. What is your favourite category? It has to be a teleporter one. Max Any% or Max Hell%, I'd say. AS+O has done so much for the community, I have to mention it as well. What is your favourite part about the community? The super-supportive atmosphere. The constant support I received when growing up as a player, even from players way better than me and who wouldn't have cared about those beginner runs in other communities, really meant a lot to me and kept me motivated. Hopefully I contribute to doing the same to the newer players. Favourite video game? Spelunky, of course. Other than that, the Rayman series, particularly Rayman Legends (and Origins). Favourite song or album? ‘Notes pour trop tard’ by Orelsan. 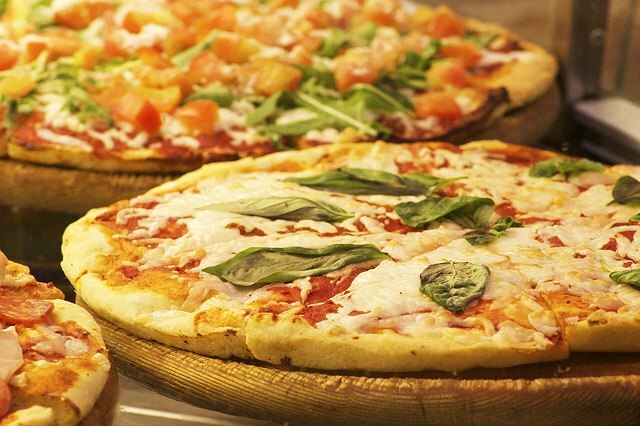 Favourite pizza topping? I love pizza with meat. I couldn't single one topping out, but I like having several types of meat on my pizza. Any few of ham, merguez, ground beef, chorizo, etc. Favourite hobby? Gaming. Especially speedrunning and Magic: The Gathering. Describe your personality in three words. Optimistic, pessimistic, intuitive. What is your perfect day out? Chilling with friends, enjoying good food and drinks. What is the last movie you cried at? Polisse, by Maiwenn. It's a movie about the police section dedicated to protecting children from paedophiles and trafficking. It sheds a very crude, true light on these horrible stories while always keeping a touch of hope in the mood. The alchemy is amazing, and I'm now realizing I can't properly talk about it. I guess you really have to see it to get it. Which famous person would you most like to meet? ShinGraywords! If you could have any superpower, what would it be? Reading minds. What would you use your superpower for? I'm just a very curious person overall. I would use it for various small things, to know when people are lying to me and why, to understand them better. And maybe also use it to play strategy games (poker or something) and make an easy living that way. Do you have a message you would like to give to the community? Thank you all for being so awesome! I look forward to exploring Spelunky 2 with all of you. Thank you for your time, Vlad! In each entry, the spotlighted individual is asked a variety of quickfire questions about themselves. What's the story behind their username? What's their favourite movie? What do they really think about the community? These are just some of the potential questions, and hopefully you will get a satisfying insight into that member. What is your occupation? Student. Describe yourself in one sentence. I'm a researcher at heart. How did you come up with your username? About a couple years ago, I needed to come up with a username for a game called World of Tanks. Turns out that not a lot of people know about Latin and Greek roots, so I decided that the easiest way to come up with a username was to simply mash roots together to make a new "word". I got "contra-", which means "opposite" or "against", and put that with "muffin". So my name isn't actually referencing Contra the game (I've never played it), but it's just proof of my dedication to hating muffins. When did you join the community? I joined the Discord in April or May 2017, which is not coincidentally not long after I started to get into Reddit. I had been with r/Spelunky for a month or so before that and I've played Spelunky for years before then. What is your favourite category? Any%. Low% is painful. No Gold is alright, but only if I'm not speeding. What is your proudest contribution? Render dupe. No contest. I love researching, so to finally have an avenue to research and experiment makes me happy. I feel like I'm truly making a contribution when we find something new about render dupe. What is your favourite part about the community? #the-warstening. RIP. "It will be missed." Favourite video game? Braid. The best puzzle game ever, no contest. Favourite movie? I'll be honest, I don't remember a lot of movies. 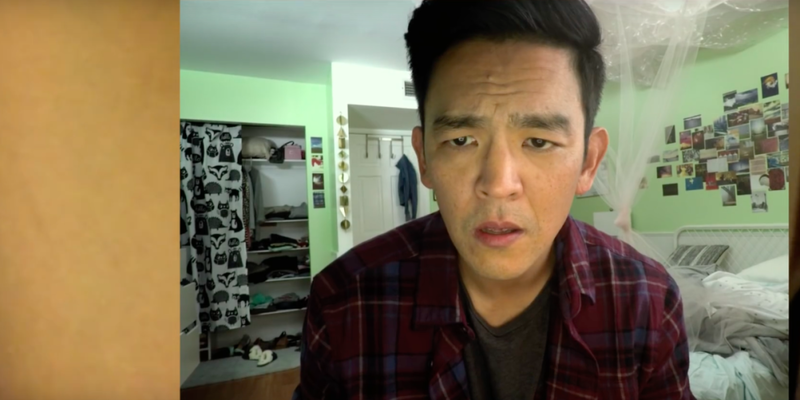 But I recently watched Searching and that was amazing. If you're considering watching a movie, I would recommend that one. Favourite TV show? Nichijou. But that's not really a TV show, is it? Favourite music artist? I'll have to say Joe Hisaishi of Studio Ghibli fame. Favourite song? ‘Pollyanna’ from the Mother series. Favourite book? The Timekeeper by Mitch Albom. Favourite hobby? I like playing my ocarina. Also, of course, gaming. Describe your personality in three words. Stoic, rational, realist. What is the last movie you cried at? Schindler's List. Cake or pie? A couple days ago, I thought of something super interesting. What if you use the key lime pie goo stuff and use that as frosting on a cake? How would that taste? Someone has to try that out for me. If you could have any superpower, what would it be? Control probability. Can you imagine what kind of stuff you could do if you could control probability? Do you have a message you would like to give to the community? Derek why? What is your first name? Will. Where do you live? Ohio, USA. What is your occupation? Studying Math and Physics, hoping to become a high school/college teacher. How did you come up with your username? In third grade I invented several creatures, including a ‘Crunchy’ and a ‘Gruntbuggly’. ‘GruntingCrunchy’ is a combination of the two. Give an interesting fact about yourself. I've been part of a circus for nine years, and do tons of fun things including juggling, unicycling, tightwire, aerial silks, and German wheel. Who was the first Spelunky streamer you remember watching? I started watching a few Kinnijup streams before I even got the game. I tried speedrunning Classic at the time. What is your proudest run? My proudest run is probably my 6:53 Max Hell, although my 17:21 Eggy is up there, or maybe my Snowball% run. I'm pretty proud of finally completing Low% Hell, although no actual proof exists of that right now. What is your favourite part about the community? The community is really wonderful. The overall atmosphere is very positive and supportive of everyone, but my favorite part is all of the community run events and features, such as MossRanking, MossNews, The Grind, and AS+O Tournaments. Favourite TV show? Doctor Who or The Office. Favourite music artist? Electric Light Orchestra or The Beatles. Favourite song or album? For song, it’s ‘Suite: Judy Blue Eyes’ by Crosby, Stills & Nash. For album, it’s Rumours by Fleetwood Mac or ‘Let It Be’ by The Beatles. Favourite book? Stories of Your Life and Others by Ted Chiang. Favourite food? Cheese and bread. Describe your personality in three words. Positive, curious, unique. What is your perfect day out? A hike and picnic in the woods, followed by resting in a hammock. Which three items would you have if you were stranded on a desert island? Something to listen to music with, a multi-tool, and rope. What is your most prized possession? I have a pair of safety glasses (like for chemistry or construction) with the front of an EasyBake oven taped to it -- the reason for which is a long story involving me getting my hand stuck inside said oven and it being cut out with an electric saw. Many of my friends signed these glasses, and I have a strong sentimental attachment to them now. Who is the most famous person you have met? I met 50 Cent at a hotel I was staying at during a high school Latin convention. One of my friends told me who he was, and I addressed him as "Mr. Cent". He seemed rather amused. If you could have any superpower, what would it be? Time manipulation would be really cool. Do you have a message you would like to give to the community? You people are awesome. The community is the reason that a not-super-popular game from 2013 is still receiving 150+ run submissions a month. I love being a part of this group of people. MossNews Summer Update: 13 New WRs and the Rise of the RTA Categories! Hello all! GruntingCrunchy here, bringing the first MossNews update of the summer! I’ll be covering runs since June 6th, so this edition may be slightly longer than previous editions. In addition, I will be doing a special spotlight on the RTA categories due to special interest, as well as highlights of the 13 World Records. Let’s jump right in, starting with the main 4 categories! Long-time player Bum made an impressive return with a $3,225,000 score run, the 12th highest in the category. This was his first run submitted in over a year, and I hope this is a sign of more runs to come! In addition, resident Xbox player Geordie_May_Cry submitted a $2,126,175 run - a terrific score, especially considering Xbox does not have unlockable characters, making the usual Robot strategies to carry the Plasma Cannon to the City of Gold impossible. Geordie opted to leave the Plasma Cannon in 4-1 and continue on for a Hell finish. TNF achieved a score of $1,957,600 before his untimely death on Olmec, and resident Daily player 84BombsJetpack finished a Hell run with a score of $1,900,525 - a first submission! Finally, new MossRanking member EvilKmart submitted a score of $659,975. Next up is Any% - one of the most submitted categories this summer, with 17 new PBs. Players Finn and thatmarkguy submitted times of 5:15 and 4:31 respectively, both of which were actually Low% runs! Kirby703 submitted a blazingly fast time of 2:07.614, with the additional hype of the music syncing to the run. Kirby continued this run despite being impaled on an arrow on 1-2, and finished with 1 HP, narrowly dodging a snake on the exit of Olmec. Geordie also submitted a time of 2:12.003, overcoming the shorter teleporter range to zoom through the levels. Both these runners are extremely skilled, and I look forward to sub-2 submissions from them! Speaking of extremely skilled, next up is runner E5ten, who submitted his first sub-4 run with a time of 3:31. Both Horseb and GruntingCrunchy submitted sub-3 runs with times of 2:59 and 2:55 respectively. Both these runs were accomplished without the use of a teleporter. Carlibraun and TicTacFoe also submitted No Teleporter runs that are edging closer to the 3 minute mark with times of 3:03 and 3:12 respectively. I look forward to seeing sub-3 times from these runners! Runs were also submitted by Tuabiht (4:13), Andu (4:45), EvilKmart (4:03), HOBT0R (3:25), Hazzahnator (4:40), LogaSoba (4:44), Courgette (5:26), and Luigidude851 (3:45). GGs all around! Moving on, we have the more difficult extension of Any% - Hell%. In order to conquer this category, players have to survive an additional 4 difficult levels while collecting various items to progress. With 14 submissions, this category was also a popular one. Firstly, 2 players submitted runs under 5 minutes - Haunted category master falafel_raptor with an insane 4:04.827 and original memelord ix with a 4:42.333 - both extremely impressive times. Raptor is extremely close to the huge 4 minute milestone, and I believe he has the skill to easily break it! In addition, Kirby and Geordie both submitted mid-5 minute runs with times of 5:31 and 5:27 respectively. Even more impressively, both of these runs were achieved without the aid of a teleporter! 3 more runners submitted times under 7 minutes - TNF with a time of 6:52, Chocolatecake5000 with a time of 6:30, and GruntingCrunchy with a time of 6:07. Again, all 3 of these runs were accomplished without a teleporter, so I’m sure each of these runners will be able to improve their times! We had 2 new members join the Speedlunky Hell club - Suspense21 with a time of 7:56 and E5ten with a time of 7:21. Runs were also submitted by Betty (14:55), EvilKmart (10:43), Courgette (17:14), Luigidude851 (8:46), and MNC Mascot (9:51). The last of the main 4 categories is one of the most competitive - Low%. This summer saw a large influx of very good runs submitted as runners continue to shave time off their PBs. Firstly, top tier runner Spef submitted an unbelievable time of 2:47.397 - shaving a second off of his PB from over a year ago even after an unlucky Olmec fight. DaftLunk also shaved 5 seconds off of his PB after an unlucky Olmec fight for a final time of 2:50.517. In addition, 2 members joined the elite sub-3 low% club! Both Kirby and Geordie submitted killer runs, with times of 2:58.264 and 2:54.759 respectively. Both runs were exciting throughout, including scary drops (Kirby) and shopkeeper aggro (Geordie)! GG to both of them on this huge achievement! Runners DieDai and TNF are also edging closer to this elusive goal, with times of 3:05 and 3:06 respectively. Both runners have the skill required for this run, and I believe they can both do it! Runners Horseb and Suspense also submitted times below the 4 minute mark - another major milestone - with runs of 3:45 and 3:57 respectively. E5ten is approaching the sub 5 milestone with a time of 5:02. Good luck to him! Runs were also submitted by EvilKmart (4:13), Courgette (6:39), Finn (5:15), Hazzahnator (4:40), and thatmarkguy (4:31). Many of these runners also completed their very first Low% run, so GG to them! Perhaps the most famous category of all is the legendary Eggplant run. We had 1 runner complete their very first Eggplant run - GG to Kirby on finishing one of the most technically difficult main category runs, and welcome to the Eggplant Club! With a time of 32:04.452. This run was a real nail biter - despite using buy% strats (including ghosting 2-1 for over $62k! ), it was by no means easy. This means Kirby’s only penalty left is Low% Hell - Good luck, and I expect to see that on the next MossNews! GreatStriker submitted their third eggplant run with a time of 30:45. Two runners also improved their eggplant times - ix with a time of 12:50, and Meow with a time of 13:50. Both of these times are very good for such a difficult category. GG to all! Another very difficult main category challenge run is Low% Hell. 4 runs of this category were submitted, including 1 first clear - Congratulations to memelord Chocolatecake5000 who recently finished his last penalty run. He then quickly improved it with a killer time of 9:07.127. This is an insanely good time, especially for second clear! The other three runs were submitted by GreatStriker, ix, and Stuoid. GreatStriker’s run was their first sub-20 time of 18:35, despite terrible Hell level layouts. In ix’s 9:42 run, he utilized a thwomp to conserve bombs. Stuoid completed his 2nd run with a time of 13:12 despite difficult Anubis and Yama fight layouts. Congratulations to these runners on the completion of this difficult category! One of the more interesting categories (in my opinion) is Big Money, in which players must finish the game with at least $500,000. 6 PBs were submitted in this category. Choco got a speedy time of 8:25.301, bringing himself closer to the speedlunky mark. Good luck on reaching that milestone! TNF submitted their first sub-10 run, with a time of 9:52. Runs were also submitted by Carlibraun (15:33), E5ten (12:19), and Horseb (11:54). Keep up the good work! No Teleporter Any% is another interesting category. In addition to the runs mentioned in the Any% category, and those Low% runs which are also No Teleporter Any% PBs (from Kirby, Finn, EvilKmart, and thatmarkguy), 4 runners submitted unique runs. Geordie submitted a blazingly fast run with a time of 2:33.339, the 9th fastest run in the category! Chocolatecake5000 also submitted his first sub-3 run out of his 12 submitted runs in this category, with a time of 2:58. GG! HOBT0R completed a 3:48, their first run under 4 minutes, a milestone that E5ten is approaching with a time of 4:18. GG all! One of the most infuriating categories, No Gold, received several amazing runs this summer! Kirby shattered their previous PB of 4:00, submitting the incredible time of 2:10.916 - the 6th fastest run in this category. Spef also submitted a speedy time of 2:26.906, managing a PB even after accidentally dropping his teleporter during the Olmec fight. Geordie submitted a time of 3:02, very close to the 3-minute barrier, which he certainly has the skill to break. 3 runners submitted runs without a teleporter - TicTacFoe with a time of 4:03, Courgette with a time of 11:45, and GruntingCrunchy with a small PB of 3:38. In addition, 2 runners submitted No Gold PBs that were also Low%! Congratulations to Chocolatecake5000 with the excellent sub-4 time of 3:56, before improving to 3:39, and Pajecka with a speedy 4:56! It may seem counterintuitive to go through a entire level made up of solid gold without taking any of it, but that’s exactly what 3 runners did when they submitted No Gold Hell% runs. Firstly, ix got a blazing time of 5:31.878, the 6th fastest run of this category! He used the safer version of the mittless paste fight popularized by community member Sawr to secure his Yama fight. In addition, MNC Mascot completed their first run of this category with a respectable time of 21:32 - I look forward to MNC improving this category! Finally, GruntingCrunchy performed a clutch overhead skull whip to submit a time of 11:04, which he got during the MossRanking event The Grind: No%. GG runners! Just when you thought No Gold runs couldn’t get harder, you get those runners who complete runs without using items! There were 5 submitted Low% No Gold runs, all of which have very fast times! Pajecka completed their first sub-5 run with a time of 4:57, while Chocolatecake5000 clinched the sub-4 with a time of 3:56, before improving his time to 3:39. Kirby and Geordie also nailed some very fast times with times of 3:27 and 3:24 respectively! All 4 of these runs were also PBs for their runners’ No Teleporter No Gold Any% category. Finally, ix clinched a 10 second improvement with a 3:34 time. GG! Have you ever fought your way through a worm’s intestinal tract, then climbed through an explosion-prone alien spaceship? 11 runners did just that by submitting Max Any% runs! Spef got the incredible time of 2:31.949, a PB which didn’t even collect gold until an unfortunate explosion in the ice caves. E5ten and Samcv both PBed in this category as well, with times of 4:40 and 4:22 respectively. 5 runners completed this category with the additional restriction of not using a teleporter! DaftLunk and Geordie both submitted speedy times of 3:33, less than 0.3 seconds apart! Horseb submitted a time of 4:09, Suspense earned the time of 5:33, and Courgette knocked out another category with a first clear time of 21:54! Not only did MNC Mascot complete this category without a teleporter, MNC actually didn’t use any items at all, completing an impressive Max Low% run of 6:31. TNF also submitted a special run, opting to go through the Haunted Castle as well, submitting a time of 3:47. Finally, ix got a truly remarkable run. He completed this category in just 3:00.520 - without collecting any gold! Congratulations to all runners! Sometimes intestinal tracts and spaceships aren’t enough, and people have to follow it up with a literal trip to Hell. 4 runners did, all of them without the use of a teleporter! Meow and TNF both got excellent speedlunky times of 6:34 and 7:27 respectively, while 2 other runners got first completions for Max Hell% - MNC Mascot, with a time of 15:45, and Tuabiht, with a time of 26:03. Despite the difficulty of the Max categories, some crazy people like to run it without the aid of any items or health! In addition to MNC Mascot’s 6:31, 5 other runners completed this category. Firstly, falafel_raptor got the impressive sub-4 time of 3:55.078, improving his old PB by nearly a second. Carlibraun and Geordie submitted sub-5 runs with times of 4:52 and 4:28 respectively. These are both very respectable times, but these runners certainly have the skill for further improvements! Chocolatecake5000 nearly hit the sub-5 milestone with a time of 5:02, although I’m sure this barrier is only temporary. GruntingCrunchy improved his PB by a full minute, submitting a 5:58 run. The last of the main categories are the 2 Daily Challenge runs - Daily High Score and Daily Average. In the past 2 and a half months, community members have submitted 1 Daily High Score run above 3 million, 5 other Daily High Scores above 2 million, and 12 other Daily High Scores above 1 million. Our very own Grandmaster Kinnijup got his highest score ever on a Daily Challenge - $3,450,025. This is the highest Daily Challenge score not taking place on December 17th, 2017, and the 3rd highest Daily Score ever. With this run he improved the Daily Average World Record with a top-10 average of $3,277,147. Congratulations Kinni! Two dates were especially high-scoring: June 27th, with Chocolatecake5000’s score of $2.06 million and SuGaR335’s score of $2.02 million, and August 18th, with Meow’s score of $2.22 million and TicTacFoe’s score of $1.48 million. Congratulations to Malungo ($2.59 million) and SoM’s 16in1 ($2.34 million), as well as Sense, Suspense, Esquatre, Samcv, Tuabiht, 84BombsJetpack, The Mad Murf, BlueCadet3, Luigidude851, and MNC Mascot, who got Daily High Scores above $1 million. Moving on from the main categories, many runs were submitted in a variety of miscellaneous categories. One of the most famously difficult of these is No Gold True Pacifist Hell, which received two submissions. Challenge run master ix completed a damsel-less run in 26:03 before Kinnijup smashed the World Record, setting a new time of 14:11.363! Congratulations! The same 2 runners also submitted to the simpler variant with gold allowed. Kinnijup’s World Record was also a True Pacifist Hell PB, while ix achieved an impressive World Record time of 12:34. It’s nice to see such challenging categories receiving competitive submissions! 2 more difficult categories received new World Records! ix set the World Record for Max Shield Run with a time of 17:55.585 - an excellent time for such a difficult category! However, ix notes that this is still one of the weaker World Records, and there is room for improvement. Kinnijup also set the World Record for Max Eggplant% with a time of 10:38.462! He shaved over a minute off of the previous World Record, which he also held. GG Kinni! Those of you know #17 ranked player ix know his trials and tribulations with the infamous Low% No Gold Hell run. He has been trying for a very long time to complete this run - and this summer he did! The run was full of terrifying moments, including a breathtaking last minute dodge of a flying sapphire in the ice caves. GG ix, and congratulations on your completion of this difficult category! We had another World Record in the category of No Teleporter No Gold Any%! Kinnijup improved his posted World Record by 16 seconds, bringing the time from 2:36.015 to the blazing time of 2:20.204! The run was exciting throughout, starting off strong with a 35 second mines, a 32 second jungle, a 23 second ice caves, as well as a scary 4-1 exit and terrifying 4-2 thwomps before ending in a bang with clutch 4-3 crate paste to save an additional 5 seconds on the Olmec fight! This No Gold run is faster than any No Teleporter Any% run - even with gold - with the exception of Kinnijup’s No Teleporter Any% World Record. Congratulations Kinni! The No Gold variants of the Max categories were also quite popular, receiving 13 submissions this summer! In addition to ix’s blazingly fast Max Any% No Gold mentioned earlier, Spef and Geordie submitted Max Any% No Gold runs without teleporters (a real game changer for the Worm) with times of 3:53 and 4:04 respectively. GG on those nice times! In addition, Shin and ix both submitted runs in the Hell% variant of Max No Gold, with times of 19:06 and 7:41 respectively. Congratulations to both of them! The Low% variant also received 2 submissions - falafel_raptor with the crazy fast time of 4:29.851 - only 13 seconds off the World Record - and Geordie, who submitted a very special run. Up until the very beginning of this summer, the difficult category of Haunted Max Low% No Gold had only one submission - falafel_raptor’s World Record. Over the course of 2 months, however, 3 more runs were completed! Firstly, ix completed his run with a time of 10:13, before Kinnijup clutched the World Record with a time of 5:36.913! Geordie then completed his run - just barely 10 seconds off the record, submitting a time of 5:46. Geordie’s single run also counted for his Max Low% No Gold, Haunted Max Any%, Haunted Max Any% No Gold, and Haunted Max Low% runs. GG all on expanding the frontiers of this category! Haunted categories were another popular section of runs this summer, with 15 submissions. Falafel submitted a 4:36 Haunted Max Low% run, and GruntingCrunchy also submitted a Haunted Max Hell% run of 9:14 before Kinnijup set the new World Record in that category! With a time of 4:59.239, this is the first run ever under 5 minutes. Despite difficult Hell layouts, as well as not ewven having a jetpack, Kinnijup was able to reclaim the Record from Spef, who has a time of 5:18.331. GG! Both of these top tier runners submitted Haunted Max Any% No Gold runs as well! Spef submitted the killer World Record time of 4:06.695, taking the World Record from ix. This run was incredible, and was even completed without a teleporter! Spef made good use of a mattock to aid his journey through the levels. However, this record only lasted for a little over a month before Kinnijup claimed the record, with a crazy time of 3:43.485. The run featured highlights such as an … interesting … 1-2 shop robbery from below. This run was also completed without the use of a teleporter, so I look forward to seeing how fast such skilled runners would be able to go with a teleporter! The meme runs were also rather popular, with 26 submissions over 8 categories! By far the most popular this summer was Temple Shortcut% - a Low% run over 3 levels plus Olmec. Of the 10 submissions, 7 were under 1 minute, and 1 was under 50 seconds. Two runners also submitted first clears - Courgette with 2:04 and LogaSoba with 1:37. Congratulations to BlueCadet3 (59.8), GruntingCrunchy (57.3), Chocolatecake5000 (55.6), Kirby (55.5), ix (53.1), and Carlibraun (51.8). Carlibraun’s run is the 3rd fastest run, just behind Geordie’s unbelievable 48.457. This run was less than 0.3 off of Kinnijup’s World Record, and is the second ever recorded sub-50. GG all on the improvements! By far the most popular categories this summer fell under the RTA (Real Time Attack) section. All 5 of the active categories received multiple submissions, and 4 of them were of special interest. First off, the ultimate category of All Achievements received 7 submissions, a large number for such a long run. Meow claimed the first ever sub-3 hour run with a World Record time of 2:51:56.759, before ix reclaimed his favorite category with a new World Record of 2:39:12.970. Kirby then snatched the World Record by less than a minute, with a time of 2:38:26.770. GG all, and congratulations! Runs were also submitted by Samcv (4:12:00), Sawr (3:33:22), Khold (3:02:29), and TNF (3:44:40). Much of the interest in this category was due to 2 developments - a tracker developed by community member Sawr, and the introduction of a new route - an initial co-op no gold speedlunky run. Two other RTA categories fall entirely under the umbrella of All Achievements - All Characters and All Journal Entries. In addition to submissions from AA runs (from Samcv and TNF) and community events (Kirby), there were 3 submissions to All Journal Entries - Luigidude851 with a 1:23:56, MNC Mascot with a 1:13:45, and Spef, with the killer 3rd place time of 33:06. GG on these runs! Far and away the most-submitted category of the summer was Tutorial%! 12 different runners continuously improved their PBs for a total of 39 submitted runs. This outburst of runs was catalyzed by the introduction of new strategies, mainly by current World Record holder Spef, who submitted 9 runs slowly chipping away the time while introducing and developing new strategies before claiming the record with an unbelievable time of 1:14.673. What makes this run truly remarkable is that while the previous record used a teleporter to save seconds at the end, Spef instead relied on extremely precise Low% platforming! Congratulations to all the runners who submitted runs (HOBT0R, MNC Mascot, Samcv, and Kirby), those who submitted sub-1:19s (ix, GruntingCrunchy, TNF, and Geordie), sub-1:18s (Shin and Grooomp), and Khold with an impressive 1:16. If Tutorial% was the most popular in terms of submissions, then All Shortcuts + Olmec was the most popular in terms of community involvement. This unique main category involves players beating the tutorial, unlocking all of the shortcuts, and beating the final boss as quickly as possible. 6 players of all skill levels submitted runs - HOBT0R with their second run, a 15 minute improvement to a final 25:03, and Samcv with their third run to a time of 25:20. Kirby also completed their first sub-20 run with a time of 19:39. TNF managed an impressive sub-19, clutching a jetpack-less triple delivery to end with a final time of 18:49. Vlad also submitted his first sub-19 with an 18:14. Grooomp got a killer 16:45, 1 of only 6 runs under the 17-minute mark, while Spef claimed the third fastest run with a killer 16:03. Much of the interest in this category was due to several community events, including versions of The Grind featuring races in this category, as well as a mini AS+O tournament this past weekend. It was recently announced that their will be another major AS+O tournament coming up, featuring players of all skill levels. If you are at all interested in this, be sure to get involved! With that, I would like to wish a huge GG to everybody - so many awesome runs have been submitted in the past 3 months! This news was written in a slightly different format than previous news, so let me know whether or not you like it! I spent the better part of a week working on this, so I would appreciate any and all feedback. Thanks, and good luck ‘lunking! Mini All Shortcuts + Olmec Tournament! The Spelunky speedrunning community is coming together for a one-day All Shortcuts + Olmec tournament. On August 19, 2018 at Noon Eastern (until about 3:30 or 4), the Mossranking Twitch channel will host a single-elimination bracket featuring 8 of the fastest, bravest, and handsomest runners in the world. Each of the races will feature live commentary by ix, Kinnijup, and a few others. For the full bracket, swing over to the Challonge website. You can even make predictions about how the tournament will go, if you're into that sort of thing. For those unfamiliar with All Shortcuts + Olmec category, it is a real-time attack (RTA) run that begins with a blank save file. The competitors will begin by completing the tutorial. Next, they'll deliver a series of items to unlock the three Tunnel Man shortcuts. Finally, they'll complete the game by defeating Olmec. This run has been featured at AGDQ 2018 by Kinnijup and AGDQ 2016 by BumCommando & Kinnijup, and will appear at GDQx at TwitchCon 2018 (exact date and time TBD) by meowmixmix! All Shortcuts + Olmec: Unlock all the Tunnel Man shortcuts and complete the game by defeating Olmec. This run has been featured at AGDQ 2018 by Kinnijup and AGDQ 2016 by BumCommando & Kinnijup. All Journal Entries: Unlock all of the journal entries. This means the Spelunkers will be visiting every area in the game, collecting every item, triggering every trap, and killing every enemy. Since AJE hasn't been at a GDQ (yet), here's a randomly selected top-5 run to showcase: 37:58 by ix. First off, chocolatecake5000 nailed an eggplant run! He got a 25:32. He is the 46th person to complete this feat, way to go choco! He also hit a 4:03 Low% No Gold time and a 5:07 Max Low%. Both of these Low% runs are really getting impressive. Choco has reached the top 30 on Mossranking, with 645k Mosspoints! All that remains for him to complete in terms of Mosspoints categories is Low% Hell, which Choco has been to Yama on. So I think we may see him finish this in the near future. Good luck, Choco! Another runner making great strides this week was TNF. He reached 40th place this week! The PBs he hit were a 69k Tutorial Score, a killer 2:57 No TP Any%/Any% (congrats on sub 3! ), a 5:10 Haunted Max Any%, a 6:52 Hell run, and an impressive 53.9 Temple shortcut run! I like that he used some extra bombs on Olmec in the No TP Any%. The temple shortcut run is also 5th place, on a category that did end up getting some good competition. TNF has always had a ton of untapped potential. It's awesome to see him tapping into some of it here! Suspense21 has several PBs to mention. He managed a 4:15 Low%, 9:00 Hell, 6:03 Max Any%, and a 4:59 Low% No Gold (this counted for several categories!). The Low% in particular caught my eye and was nearly a 25s PB. These PBs put him at rank #63 on the main list with 375k Mosspoints. Nice job, Sus. GruntingCrunchy made a huge improvement to his Low% time, managing a 3:13. He also nailed a $1.6m daily. Nice! Crunchy will be at a summer camp for a bit and unable to play, but when he returns I think we may see something closer to, or perhaps under, the 3 minute Low% mark for him. One bad ice caves level cost quite a bit of time on his 3:13 run, and his platforming does look like a sub 3 may happen. Good luck if you try, Crunchers. The All Achievements category got moved from meme to miscellaneous, which many people were excited about! The category saw a lot of action this week even before the move, too. We had chocolatecake5000 get a Sub 5 hr run, Khold get a 7 hr run, Kirby703 hit a 4th place 4:18, meowmixmix nailing a 2nd place time of 3:22 (great to see ya back Meow! ), and last but not least ix hitting a WR time of 3:07:00.450. ix will probably push for the Sub 3 run, as well. We now have a sweet autosplitter for the category designed and created by Sawr, too! The death grind for the Addicted achievement can be intimidating, but some people have tackled it. Currently 7 people have completed the category as a speedrun. Good luck if you try the category out! In addition to his AA run, ix nailed a really impressive AJE run. He got a 37:58! I think it's awesome when someone gets sub 40 here. ix is the 4th person to do so, and also reached 4th place here. A cool note about this is AJE is one of the runs we also have in speedrun.com's Spelunky section. You get a diamond, ruby, sapphire, or emarald next to your name and time based on if you got 1st, 2nd, 3rd, or 4th place, respectively. Well, this is ix's first emerald, so that's pretty cool . ix may push to move beyond Spef's impressive 36 min run for 3rd place - we'll see! Good luck if you go for it, ix. Next up, tuabiht made an appearance with a 4:13 Any% run. Nice! samcv completed a score run :D He also completed a Big Money run and Jumbo money run :) Nice job hitting $1.5m, Sam! luigidude851 tried his hand at a Big Money speedrun, and got a 14:47. This is also his Hell pb now. Nice! Stiljoz completed a basejump run. He did so in 8:37. Oh yeah, this is also his Hell PB. GG! He also nailed a $1.89m score run, which is arguably more impressive hehe. Horseb managed a 3:15 No TP Any% run, which is also his Any% time. This was also done without a mattock. Looks like sub 3 is well within his grasps with a better shop. Nice job, Horse! Resident Xbox runner Geordie nailed 2 impressive runs this week. He got a 54.379 Temple shortcut run and a 3:24 Low% No Gold run. This Low No Gold run is 12th place! Getting a high rank in a pretty competitive Mosspoint category is really impressive. If Geordie stays motivated, I think his potential is clearly top 20 and beyond. He often streams his runs to his Twitch channel. Good luck if you play some more, Geordie! Pentathlon runner TicTacFoe finished a Max Low% run, and he did so at quite a nice pace. He got a 5:10! A clutch Olmec fight and 1HP finish did the trick. He also nailed a 21:58 ASO run. Congrats, TTF! Another ASO run came from our friend Carlibraun. He reluctantly hit a 23:51. Glad one worked out for you, Carl! Carl also managed a sick Temple shortcut run - a 54.7. Without the 4s timeloss on Olmec, he would've had 2nd place! Regardless, still a sweet PB from Carl. We also saw a couple new guys get started on dailies: mvemjsunp8, nubsy, and Nick. Welcome to the site! Last but not least, pojopoopoohead hit two nice runs - a 4:44 Max Any%, and a Jumbo Money run. The Jumbo run also counted for his score PB (of $1m) hehe. Way to go, Pojo! That's all for me - congrats on all your runs! Derek Yu has opened up about developing the anticipated sequel to Spelunky, suggesting that although a lot of procedurally generated games have come out since the first game, Spelunky 2 will feel like a fresh experience. The developer stunned Spelunky fans across the world late last year, as an announcement trailer was unveiled at Sony's Paris Games Week. And, while details on the sequel continue to be sparse seven months on, he gave numerous teases on the Tone Control podcast in a conversation with Gone Home and Tacoma developer Steve Gaynor about what people can expect. "I've always toyed with the idea to make a sequel," Yu said. "A lot of really cool games have come out since Spelunky 2 which are procedurally generated, but nothing has really felt like to me what my idea of Spelunky 2 would feel like. 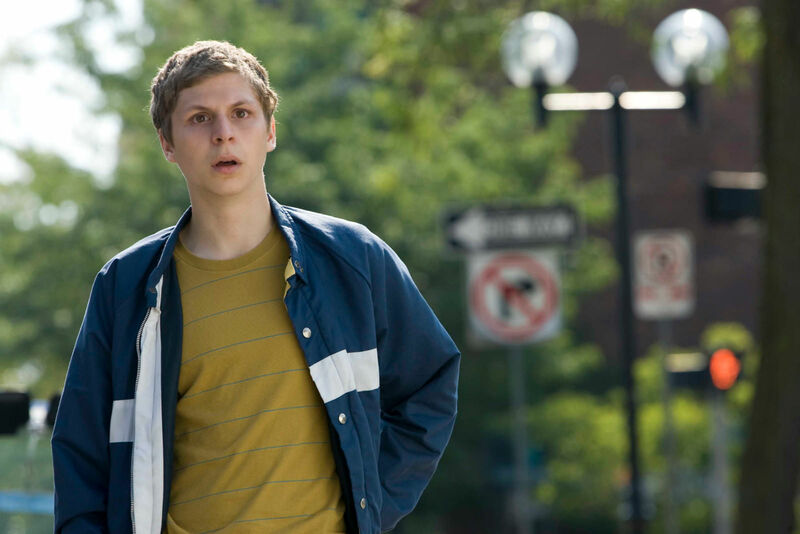 "And then, there also aren't many indie sequels. I think indie developers spend a lot of time on their game and feel very burnt out. They have the freedom to try new ideas, and they do. There aren't a lot, so part of me thought of it as a bit of a challenge - this isn't something that isn't done very much, and doing something people aren't doing is a way to stand out a little bit from the crowd. Spelunky 1 had a lot of currency behind it as an idea and as a concept, and it seemed like to abandon that and do completely new stuff was sort of a waste of that work." Yu addressed some of the comments that the first Spelunky didn't need a sequel - and said that while he understood the sentiment, he compared the approach he is taking with the Spelunky sequel to how Nintendo approaches Mario games. "Spelunky 1 is totally done. It feels like a complete package," he said. 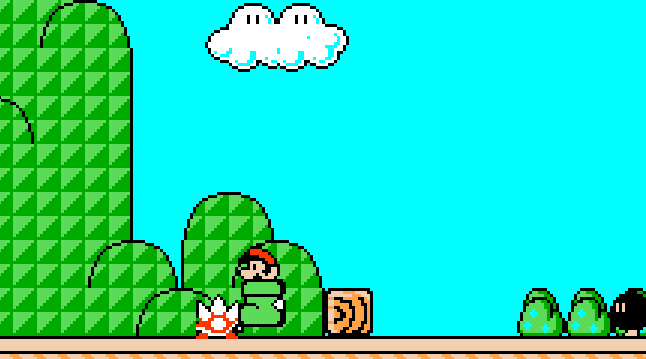 "I think about that game like Super Mario Bros. 1. "People say Spelunky feels like a perfect game, and I understand what they mean. I think a game like Super Mario Bros. 1 is perfect and you don't want Nintendo to just keep adding to it. You want them to make Super Mario Bros. 2 and 3 and all the way to Odyssey. I think it's the same thing with Spelunky 1. I think it's perfect with all its imperfections, and with Spelunky 2, I want to extend upon the world and upon all the mechanics in ways I don't think I've seen before and that fit more uniquely with Spelunky." 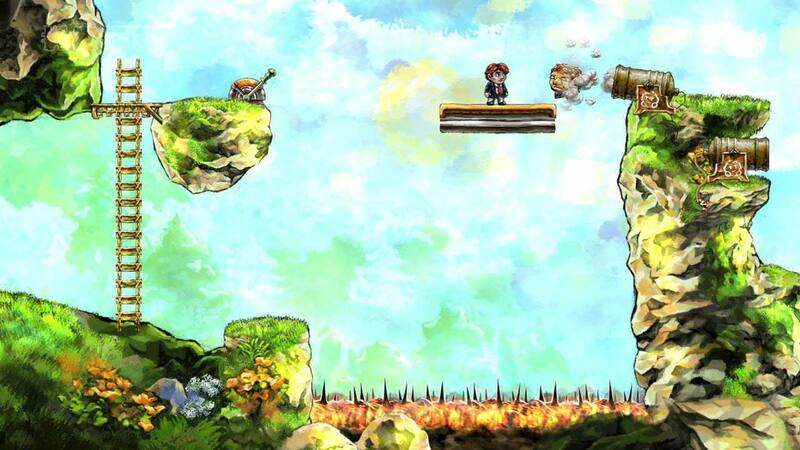 He added: "With Spelunky on Xbox, we had the freeware version as our blueprint. I could be like, 'Is it going to be like the freeware aspect in this aspect? Let's do this, but change it up a little like this. And let's add this to the game - it's going to fit in with the rest of the game in this way, and then pointing at the freeware version for that, too'. "And it's very similar to Spelunky 2 where we've got Spelunky 1, and where a lot of the times, I can be like, 'This part of Spelunky 1 is something I would like to extend, or this part is something I would like to replace with this'. It's a lot of figuring out what makes Spelunky 1 really Spelunky. What's the core we really want to pull out." Yu also talked about how his life experiences have heavily influenced the sequel, suggesting that there may be more prominent story elements compared to the first game. 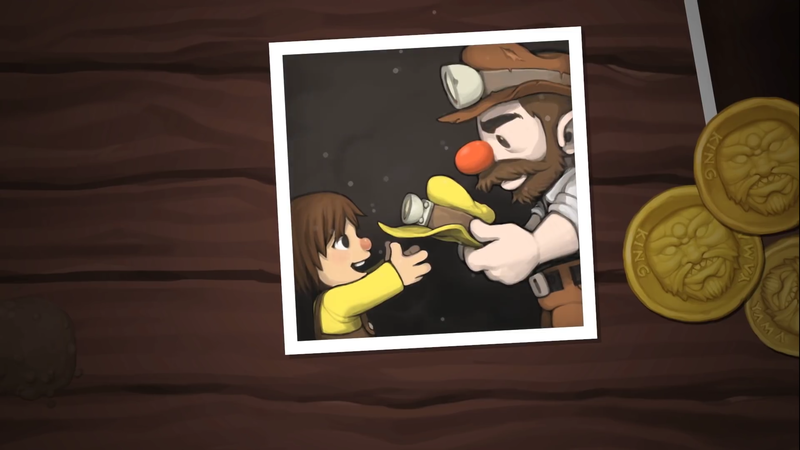 Since the release of Spelunky 1, he has had a daughter - and the announcement trailer for the sequel hints that the protagonist will be the daughter of the first game's main character. "It's strongly implied," he shared. "I think people know - I've talked about my family life a little bit, being a dad, and how inspirational it's been. That's been influential on me. 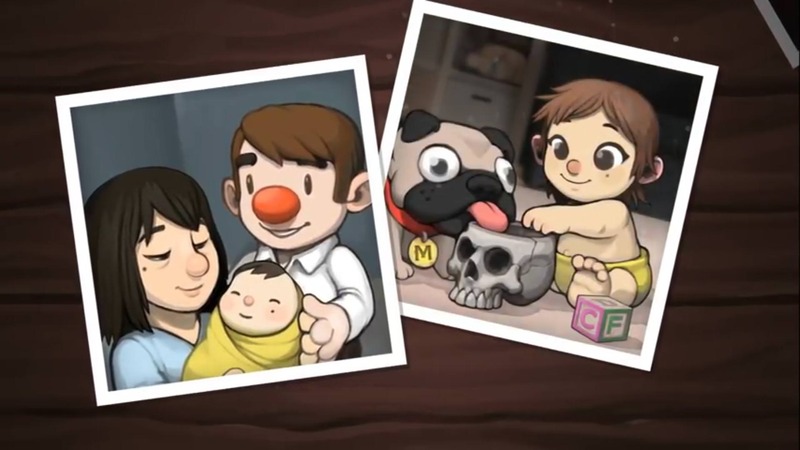 My daughter has been a big inspiration creatively, and it makes so much sense in that Spelunky 2 is a sequel to 1 coming after I became a dad. It feels personal to me. "With the freeware version, it was very mechanically focused in terms of the design. I didn't have a personal story or things that were happening to me in my personal life like that. I think the game came out of a personal situation in that, Aquaria was very intense and I wanted to move back to making a game solo - but the actual game itself was not trying to tell that story. It was more, these are kind of cool mechanical ideas and these are themes that work well with the mechanics. "With the Xbox version, it got a little more personal in the sense that Yang was telling people to do their best and to not be afraid of failure." 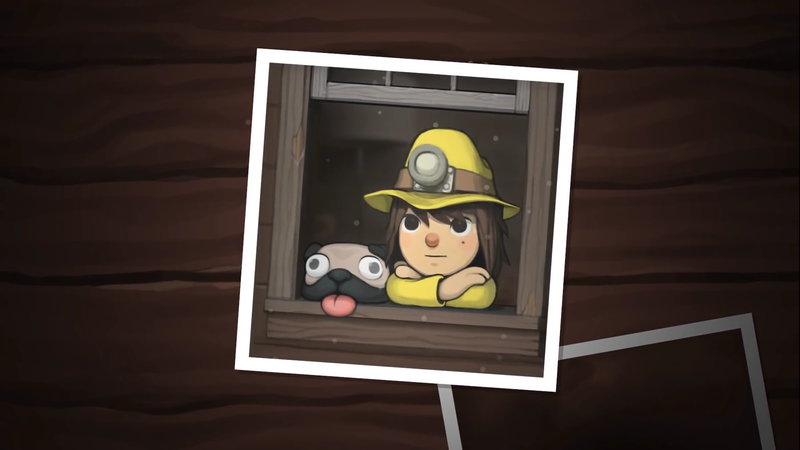 Gaynor shared with Yu his theory that the decision to feature Yang as the tutorial character was influenced by being Yu being an Asian American game developer and as a way to include "personal representation", to which the Spelunky creator agreed. "For sure, there are things like that," he said, and followed it up by elaborating on other ways Spelunky has represented him as a person. "I think the whole cyclical nature of the game - I'm not religious myself, but that kind of feeling of struggling through something and starting over, it has mirrored the way I feel with my life developing these games one after another and slowly building up my understanding and my knowledge and my mastery of my craft. I think Spelunky is a lot about that. "But it's not as overt as putting Spelunky Guy's daughter in Spelunky 2. There are themes that are pretty obvious from the trailer - family and friendship and things like that - that mean a lot to everybody but have also meant a lot to me in terms of my career as well. I've met friends along the way, including other game developers and people I've worked with, and now I've started a family and am trying to be a game developer in that context. And I'm also thinking about my daughter who is part of a new generation and thinking what she's going to do with her life." Elsewhere in the conversation, Yu said that he would have only collaborated on Spelunky 2 with Blitworks - who previously ported the first Spelunky game to the PlayStation platforms. "They were the only people who had the skills and the manpower and also the experience with Spelunky and the familiarity in that I've worked with them before to tackle this," he explained. "I would be nervous about working with a new team, because I do know that team dynamics are so important and now I understand I work in a very specific and particular way where, for example, if I work with a company and they're a company that wants a Skype meeting every morning, I can't do that. That would be too taxing on me. "I know from experience with Blitworks, we worked in a way that gelled, where we do have a lot of communication but it's through emails, it's through Google Docs, and then it's occasionally Skyping and meeting in person during GDC. We communicate in a way that feels more natural to me. So they were the perfect fit for Spelunky 2." Spelunky 2 has been confirmed for PC and PlayStation 4, with a release date and additional platforms not yet announced.